I must admit the biggest shock I faced when I joined the marine business was to discover the exorbitant cost of shipping large boats. I remember how I naively quoted my very first customer an estimated USD 5,000 for the shipping of a 36 feet boat from Dubai to Freetown in Sierra Leone just to learn shortly after that just because a boat had a length of 36 feet did not mean it was going to fit inside a 40 feet container. The Touring 36 had a beam (maximum width) of 3.2 meters. It was larger than the width of a closed container. Which meant the boat needed to ship on a flat rack as an Out of Gage (OOG) cargo. That little change from a traditional 40 feet container to a 40 feet flat rack increased the cost of shipping from USD 5,000 to a whopping USD 25,000! On my very first deal, I was USD 20,000 short of my actual cost. 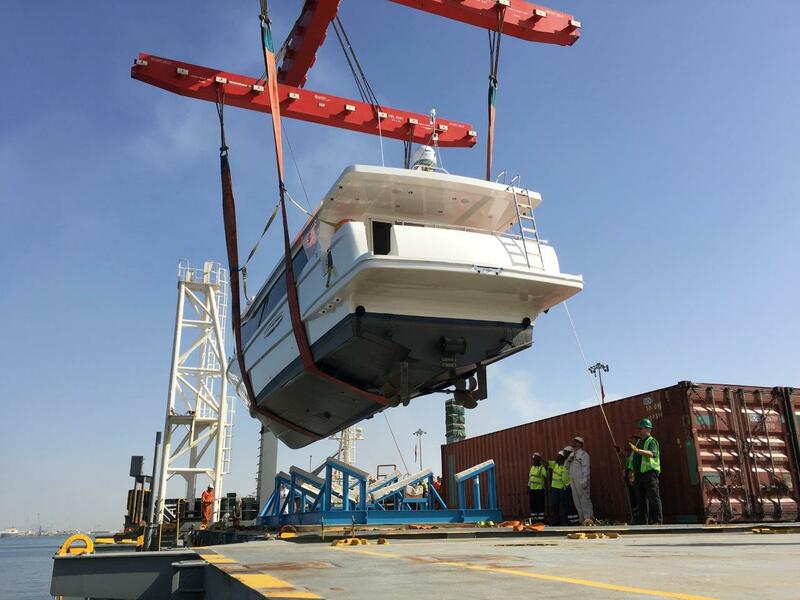 Boats from 30 to 40 feet usually ship on flat racks or on Ro-Ro vessels if the customer opted to purchase a trailer for his boat. Ro-Ro is the safest shipping method for small boats. Flat rack shipping remains relatively safe as well and is easy to handle by most freight forwarders and port personnel. The complexity rises as the size of the boat length surpasses the 40 feet. For large boats, the most common method of shipping is bulk cargo. 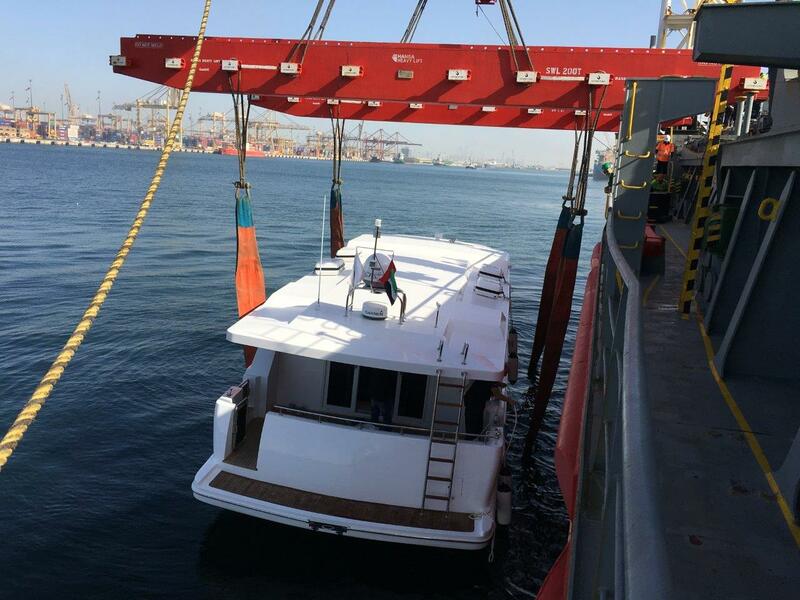 The boat will be lifted directly from the water to the carrying vessel’s deck and will be laid on a custom made cradle. 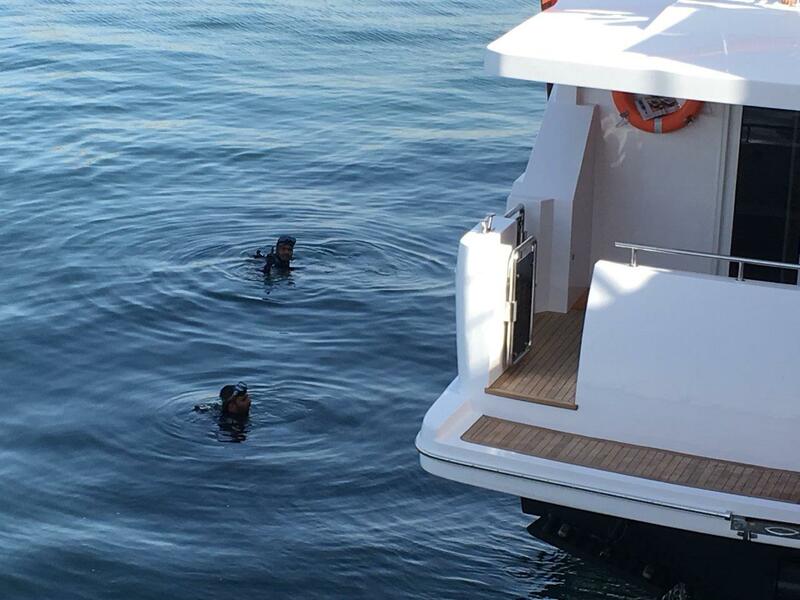 This shipping method is complex, requires a lot of expertise, the use of special equipment, scuba divers and the mobilization of a large workforce. 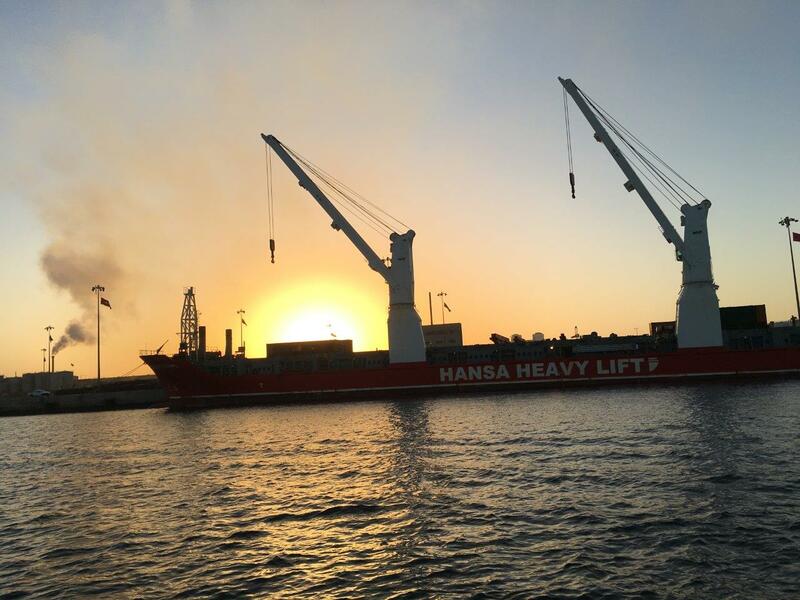 While the Dubai ports workers are usually skilled and well experienced in bulk cargo shipping, the challenge is to find similar skills and knowledge in the receiving country especially since we won’t be there to supervise the unloading of the boat on arrival. 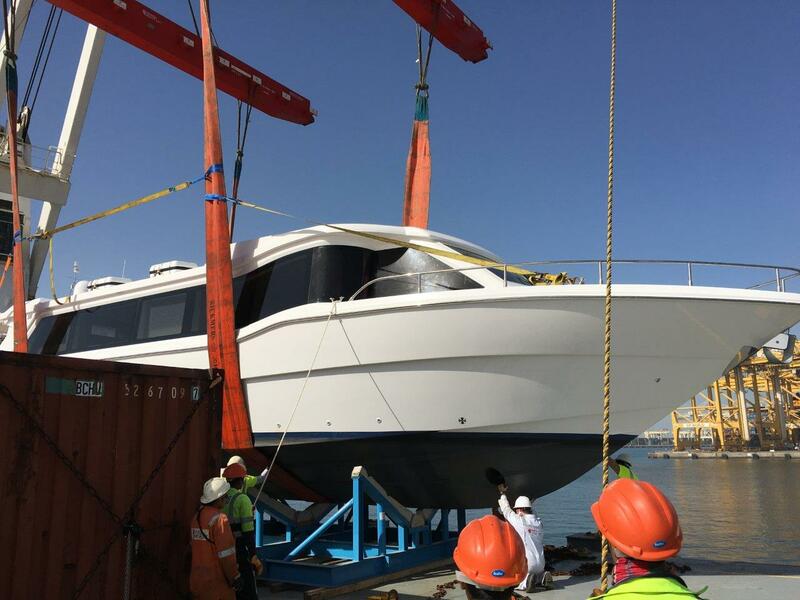 We recently faced such a challenge when it was time to ship a Gulf Craft Waveshuttle 56 for a VIP government body in Bangladesh. Chittagong, the chief port of Bangladesh, is neither equipped for the unloading of heavy boats nor are there enough skilled personnel to safely carry the task of lifting the boat from the mother vessel to the waters. So we called for a heavy lift geared vessel that came all the way from Germany to carry the Waveshuttle 56 to Chittagong. 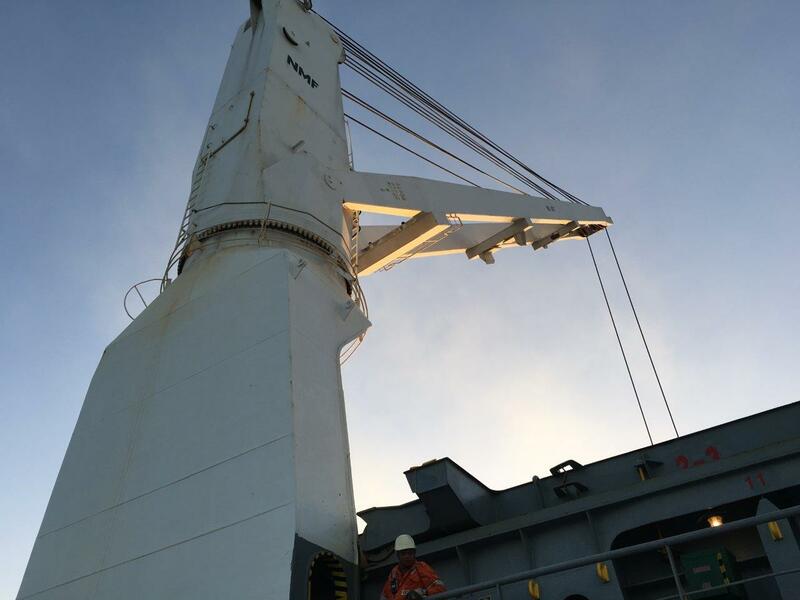 The vessel has its own heavy lift cranes on deck, its operators, and its highly skilled personnel. 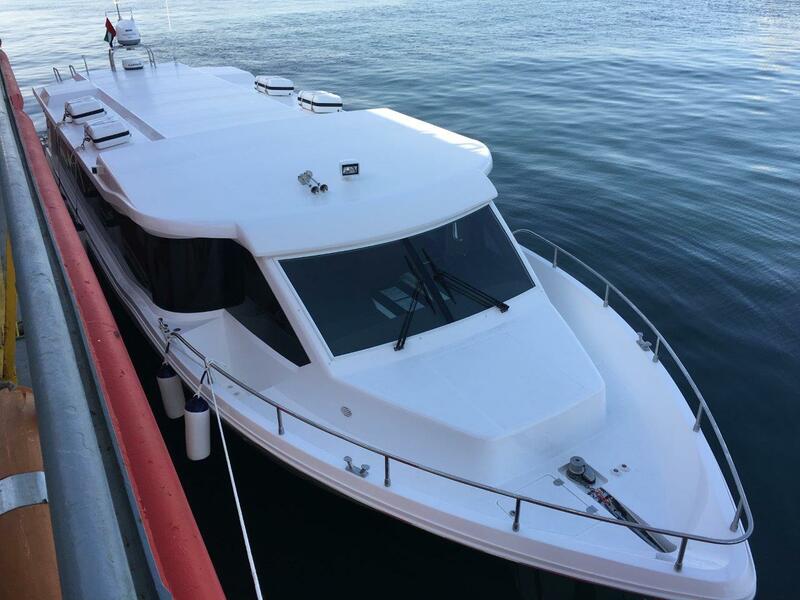 This is an autonomous vessel that can conduct the loading, lashing and unloading of the Waveshuttle 56 without involving the facilities or the personnel of the ports of departure or destination. It was the safest bet. 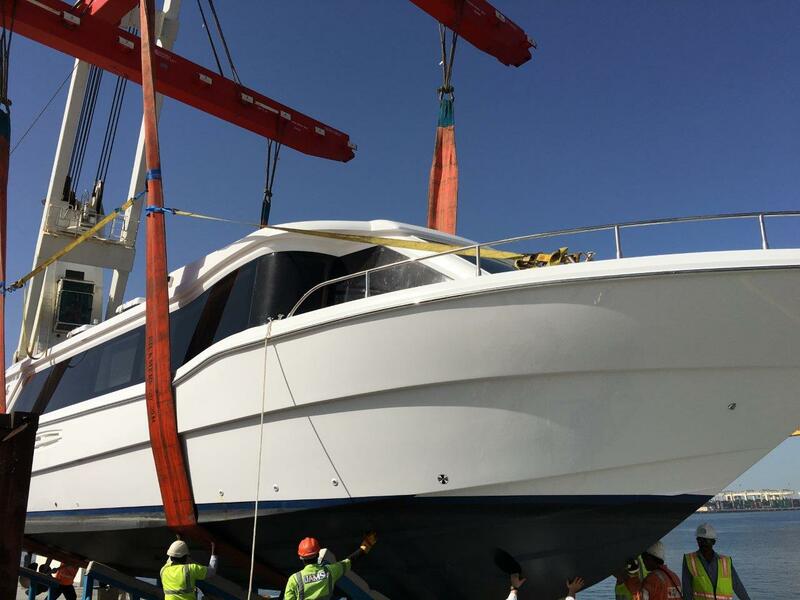 If you are new to boat trading or you are planning to import your very first boat, now you know why the cost of shipping boats is so high. It is just not the simplest of jobs. 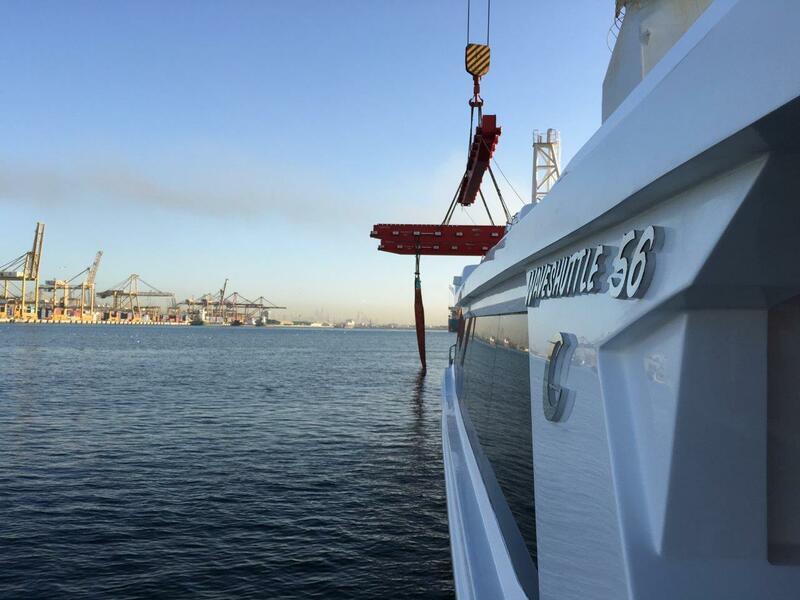 I leave you with photos from the shipping of the Waveshuttle 56 to Chittagong, Bangladesh. For more info about the Waveshuttle 56 please click here.